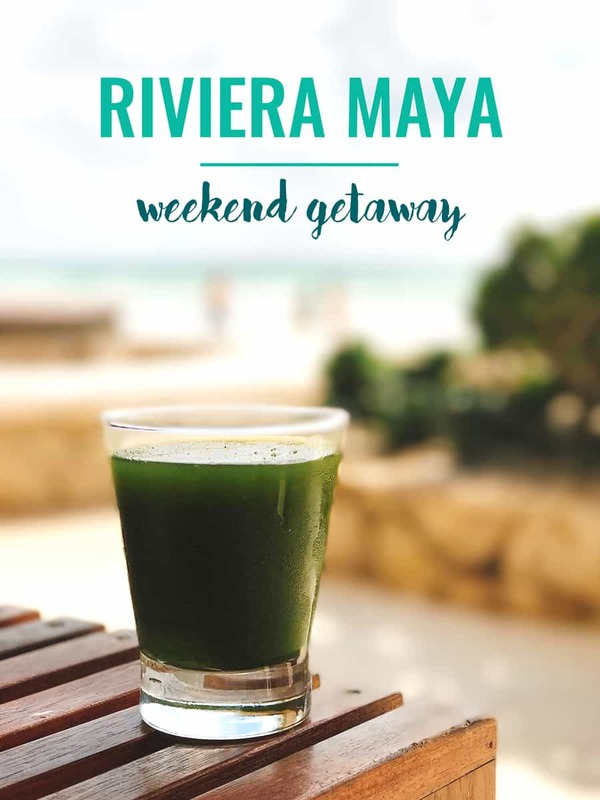 Spend a weekend a luxurious weekend in Riviera Maya, bathing in the sun, sipping cocktails and eating healthy food, with gorgeous views of the ocean and pure white sand tickling your toes! A few weeks ago I had the amazing opportunity to spend a long weekend away in Riviera Maya, Mexico. It was my first time visiting Mexico and I couldn't have picked a better place to go. 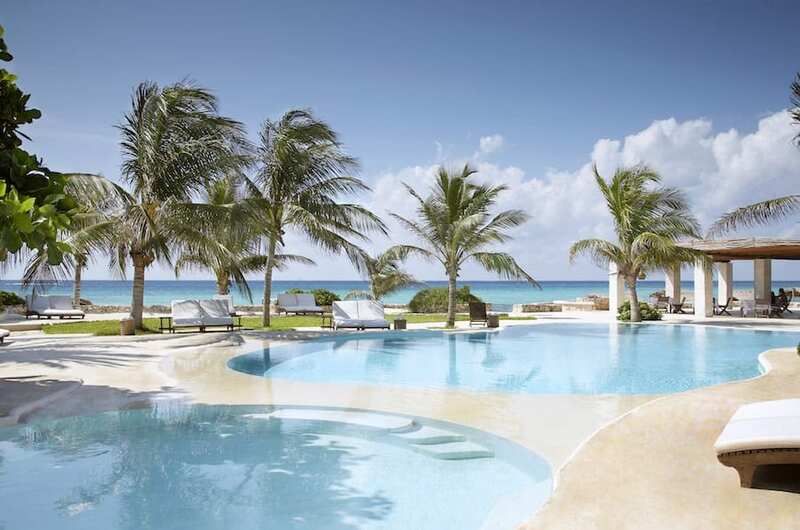 We landed on Riviera Maya for a few reasons. 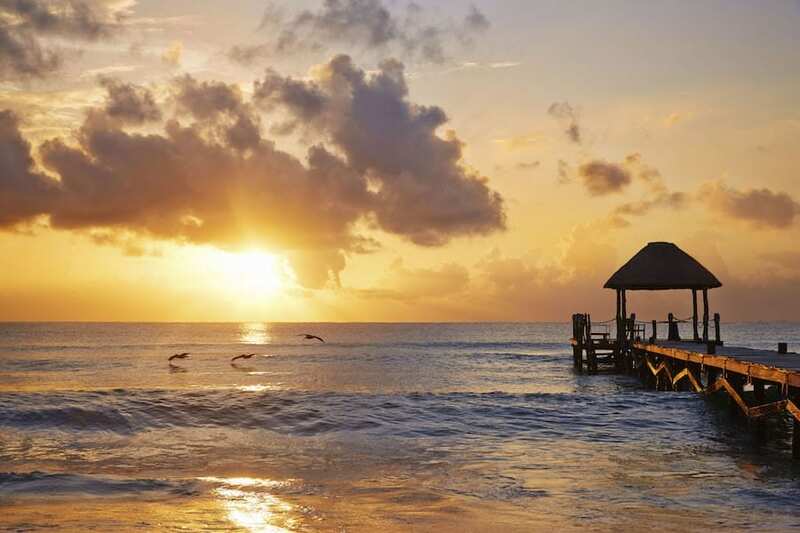 First, it was easy to get to with a direct flight to Cancun from New York. Second, it has pretty much perfect weather all year long. And third, we'd had a few friends visit before and they absolutely raved about it. Since we only had a weekend, we decided to keep things simple and do an all inclusive resort. Honestly, I'm not usually the resort type, and this was my first time trying all inclusive, but oh my gosh you guys, it's ah-MAZ-ing! 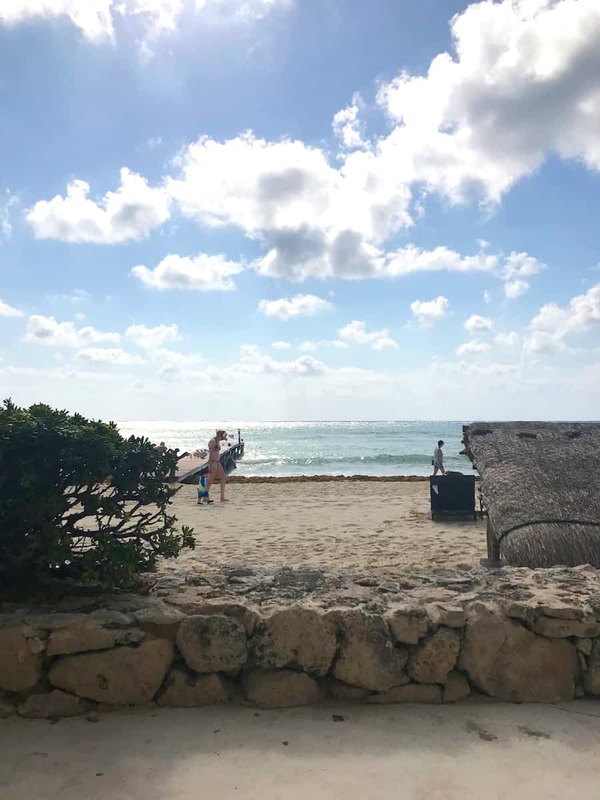 We stayed at the Viceroy Riviera Maya, which was adults only and all inclusive, and it was beyond my wildest dreams. Not only the beauty, but the staff, the attention they paid to every detail and the food. All of it was incredible! And the all inclusive option? OMG totally worth it. 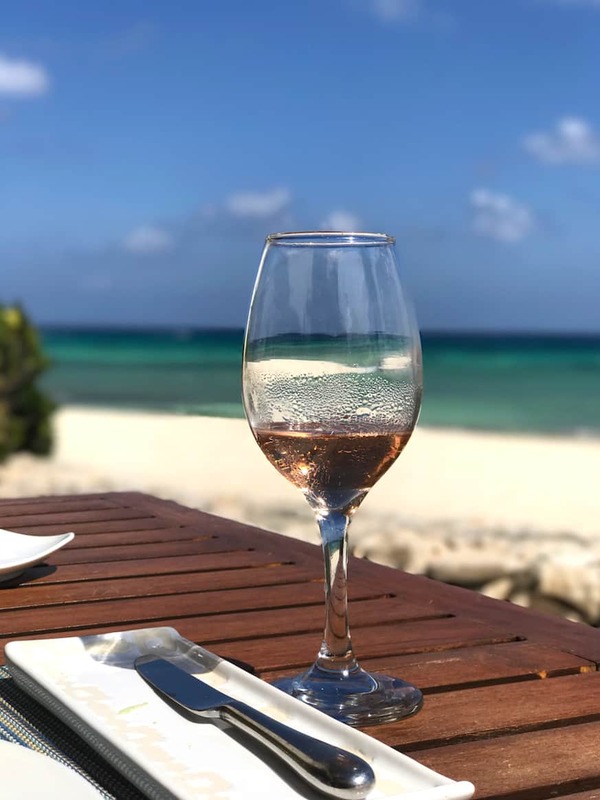 Not having to worry or keep track of what we were spending on food and drinks just made the weekend that much more relaxing. It truly was one of the best decisions we could have made! 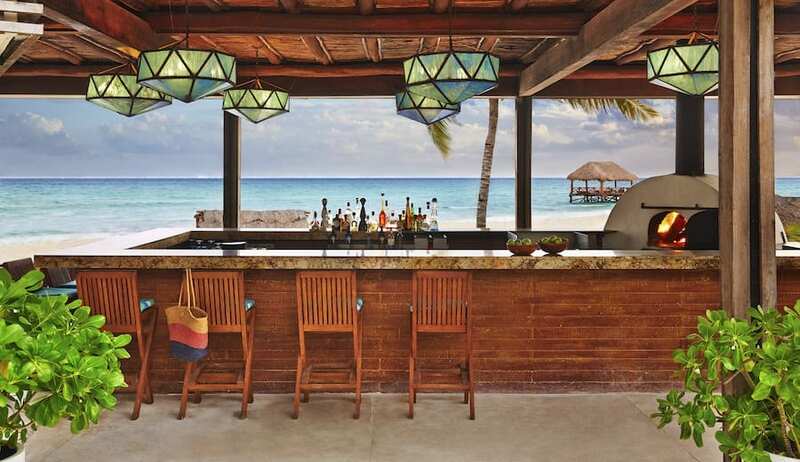 The Viceroy Riviera Maya made me feel like I was in a tropical paradise. 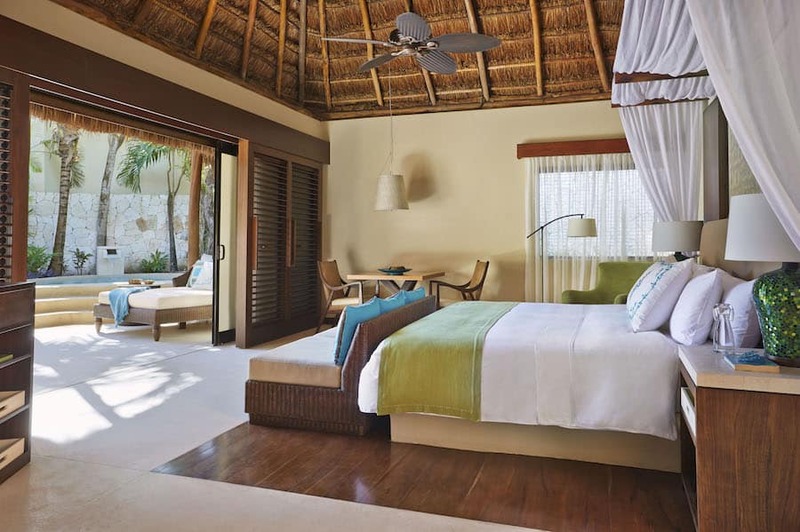 If you're looking for a place to spend a few days (or even a few weeks…HA! ), this is it. The grounds were stunning; the pathways through the resort made you feel like you were walking through the jungle. You were surrounded by palm trees, flowers, trickling streams and waterfalls. The resort is settled right on the beach too, set back a bit so even though there are resorts on either side, it feels very private. 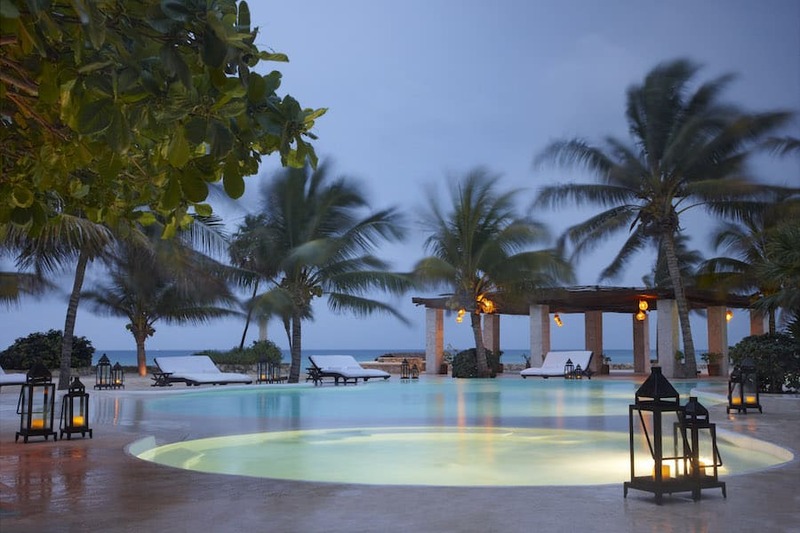 The pool is situated right in the center, so you can lounge in the sun all day long while gazing out at the beach and ocean. Ahhh heaven! And the staff was amazing. 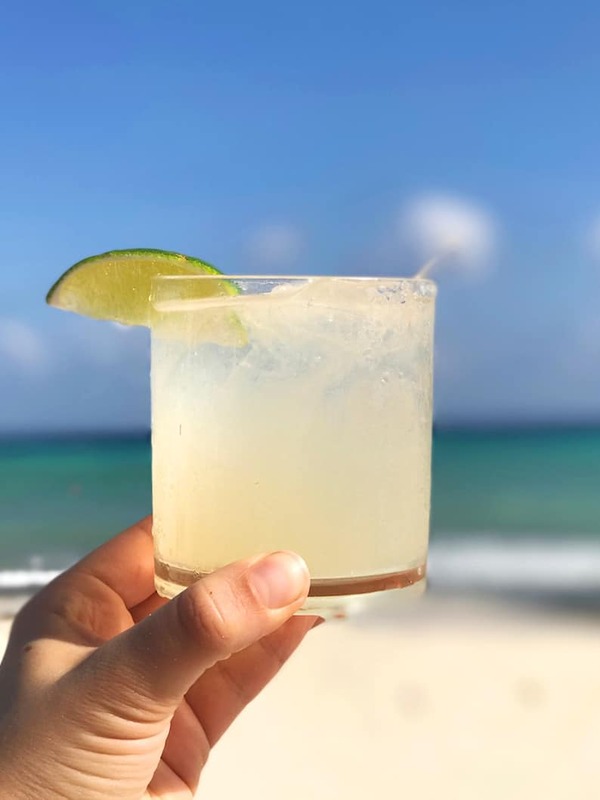 You would walk around and everyone would greet you with a big smile and an “Hola!”, the folks at the pool, beach and restaurant knew us by name, knew what we liked to order and knew about my food sensitivities. They were warm, kind, caring and made the whole stay that much more memorable. The rooms aren't like a standard resort. 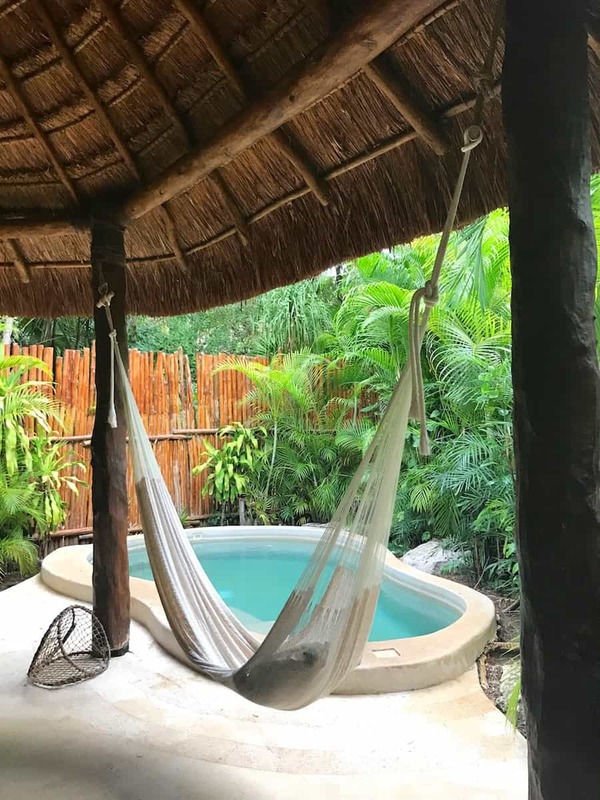 Each room is a private villa and has its own plunge pool, outdoor shower, huge bed and bathroom and tranquil patio with a day bed and hammock. 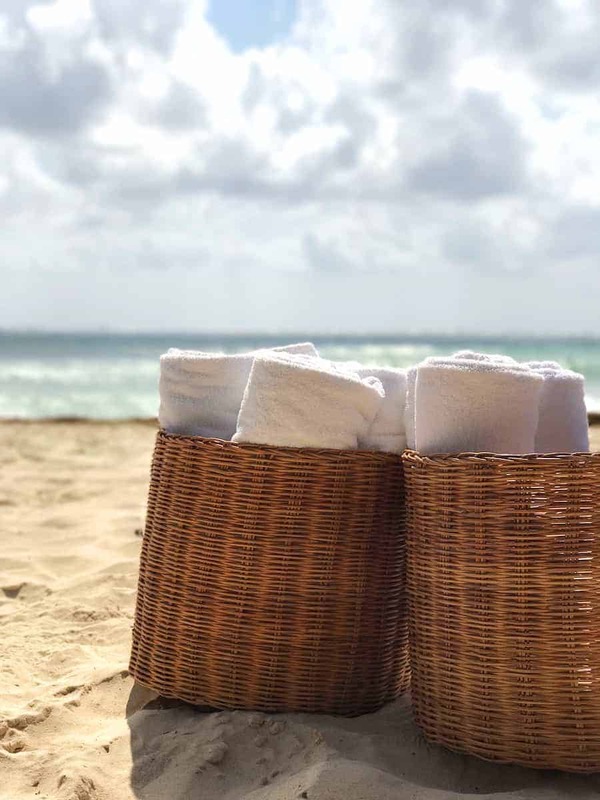 Our days pretty much consisted of waking up, taking a dip in the pool, ordering green juice and coffee, reading in the hammock, then meandering our way to breakfast, spending the rest of the day moving from the pool to the beachside cabanas. It was 3 days of sunshine and bliss! Of course, I'm sure you're just dying to know about the food! Well, you won't be disappointed. The food was spectacular! Like I mentioned, they were very accommodating for gluten-free and dairy-free, and while I haven't been eating fish much lately, I did while I was down there. It was just too hard to resist since it was so fresh! We also did the all inclusive meal plan option and it was totally worth the money. We could eat and drink as much as we wanted (so like multiple green juices a day, heck yes!) and we didn't have to worry about carrying around our wallets. We could also order room service whenever we wanted which was amazing, especially in the morning. They would deliver us coffee, green tea and green juice. It was the BEST way to wake up. Each meal we had was incredible. 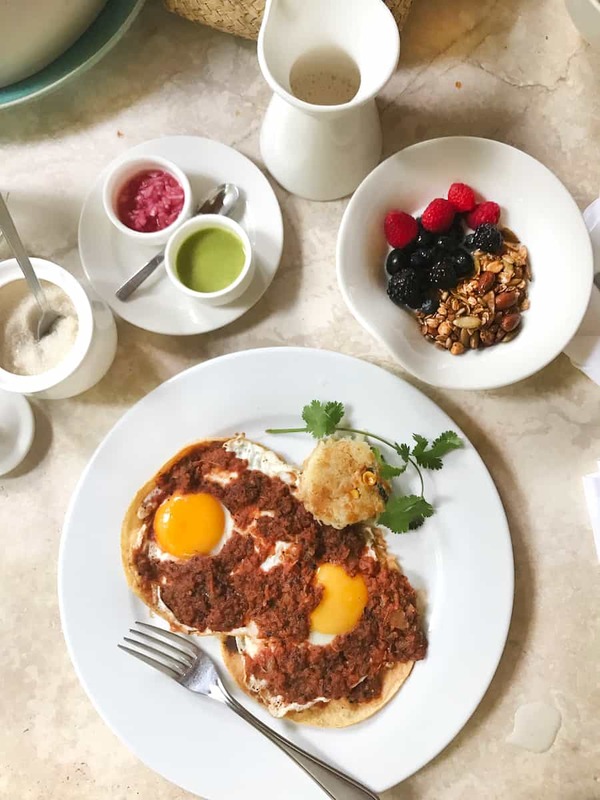 The breakfasts were unreal (my fave was huevos rancheros ^^), the lunches were light and flavorful (perfect for the beach) and each night they did a different option for dinner. The first night we had our dinner on the beach with their weekly beach grilling party, the second night we went to their upscale restaurant and the chef made me a special vegan tasting menu (I mean… how awesome is that!?) and the last night we went back there again and ordered off the menu. This was by far one of the most memorable parts of the trip! Honestly, we were pretty darn lazy on this trip and I was totally okay with it. Aside from some walks on the beach and some swimming, we pretty much laid low the whole time. But we both needed it. Sometimes you just need to go somewhere and not pressure yourself to be all GO GO GO. So we didn't. We chilled, we read, we ate, we drank, we swam and we LOVED it! 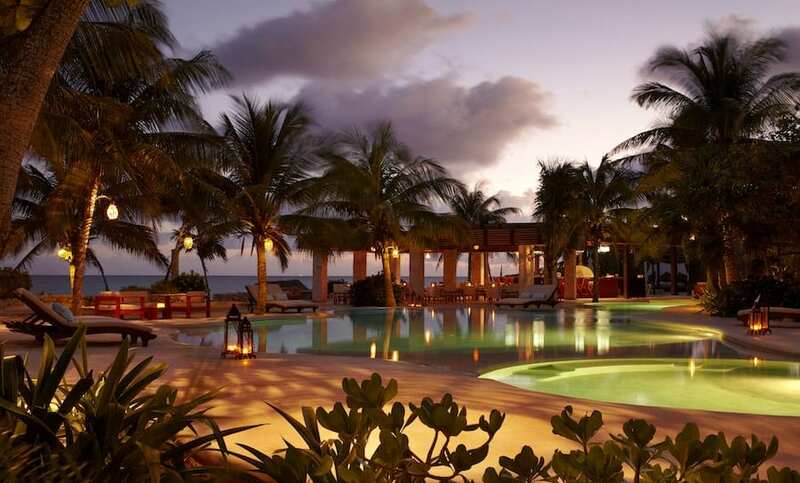 I can't recommend a stay at the Viceroy Riviera Maya enough. It was one of the best vacations I've ever had and I am already scheming a way to get back there. 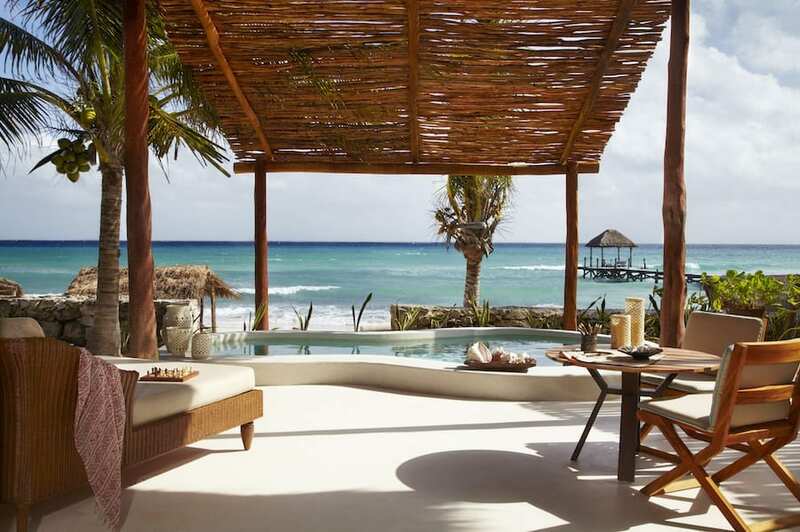 If you're planning a Mexican vacation, definitely check it out. I know you'll fall in love!